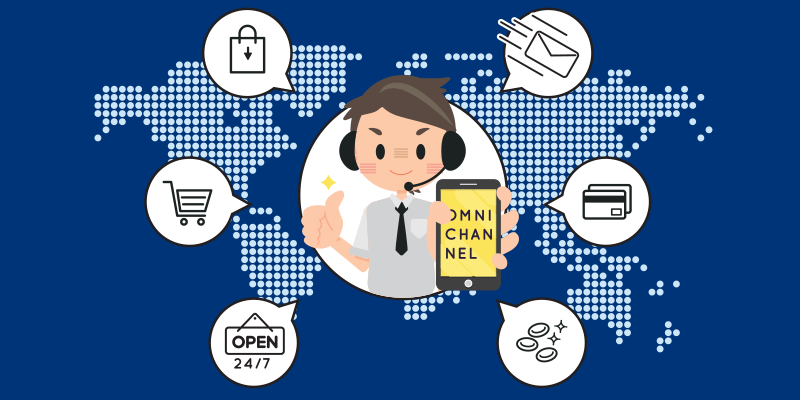 An omnichannel strategy involves allowing your customers to access your services from a variety of channels, including a website, a mobile application, social media networks, call centers, and physical branches. To further empower financial institutions, each channel should also provide metrics so that you can gather data and determine usage and engagement. In order to develop a complete omnichannel experience, here are a few important steps to consider. It's no secret that consumers conduct a lot of research prior to making a purchase. Whether its reading product reviews, watching a video on YouTube, or talking with a friend or family member, your customers are researching nearly every important decision they make. This includes choosing a financial institution to do business with. Creating an online presence means more than your institution having a website and Facebook page, it means you can be found quickly and easily, your blog and social media channels should be updated frequently and you're actively engaging with customers and prospects who have questions, comments, or concerns. Also, your website should be easy to navigate so visitors can locate needed services and your site should provide tools and functionality that help your account holders effectively manage their finances. As mentioned earlier, 77% of U.S. adults own a smartphone. The adoption rate for ages 18–29 is a staggering 92%. An average of 81% of adults ages 30–64 owns a smartphone. The numbers tell a revealing story. It's evidently clear that in order to effectively reach your customers, creating tools and services that are mobile accessible, is a must as part of your omnichannel strategy. Generally, consumers expect the mobile experience to be just as seamless as the desktop-based experience. If your financial institution has an app, be sure it's intuitive and provides a wide assortment of self-serve features. Consider your app or online experience as an extension of your institution’s customer service. Your mobile experience should have a similar “feel” to your overall customer service experience. Does your mobile channel use the same language as your customer service reps? If a mobile app is not in your institution's long-term plan, engage with your teams to make sure your current website is responsive, meaning that it automatically adjusts to whatever size screen your member decides to engage with (desktop, tablet, or smartphone). While the majority of an omnichannel strategy lies in the digital world, rethinking the use of physical brick-and-mortar branches is still an important piece of the puzzle. Consumers are attracted by experiences–both digital and physical. A place to develop a sense of community and build relationships is what your institution should be all about. Even with an influx of digital channels, branches will remain a vital hub for institutions. However, the transactions that are occurring at branches are shifting with the convenience of online and mobile banking. Therefore, branch design will need to reform to accommodate higher demand for digital experiences. Financial institutions should consider using physical presence to align with your digital experience–allowing it to stand alone or to be part of the larger omnichannel experience. Take for example Umpqua Bank, a community bank in Oregon. In 2013, they opened a flagship branch that had a different take on the branch experience. Umpqua Bank focused on meeting the needs of both types of consumers–those that value the relationships a community bank can provide and those individuals who rarely step into a branch and want to be in and out in just a few minutes time. The bank thought about their omnichannel strategy by providing free-to-use tablets and computers in the lobby, free coffee, high end treats, and even free meeting spaces for small businesses and nonprofits. Overall, the branch’s atmosphere is a combination of Starbucks, hotel lobby, and Apple Store. Umpqua took their unique culture and applied it to their entire omnichannel approach, including their physical branch locations. Even in the 21st Century, people want to connect with people. So when a consumer becomes a serious prospect, they pickup the phone and call. Smartphones should make the transition from online to offline seamless. After all, consumers can go from a website, ad, or email to a phone call with just the tap of a button–something they're choosing to do at an increasing rate. Just remember, when it comes to personal finances, human interactions are the foundational building blocks of trust and long-lasting relationships. Invest the time to learn more information about your customers. Collecting insight by analyzing customers' online activity and site/app usage is the new method for determining their needs and deepening your relationship with them. Find out which devices your customers are using to interact with you. Discover how they prefer to interact with your institution. Obtaining and analyzing the data will provide insight on how to best reach them, and on what channels they favor most. That way your team can prioritize channels based on usage and you're not having to waste time, money, and energy guessing. In the end, best practice here is to set goals for your various channels and track metrics on goal achievements and document how performance changes as you make adjustments. An omnichannel experience allows your customers to start a transaction in one channel and complete it in another while having a similar experience across the board. Mastering the omnichannel experience is one of the greatest opportunities for the financial services industry. However, it's not just the customers who benefit from this approach. An omnichannel approach will help your institution to improve performance, make more meaningful connections with your customers, earn their loyalty better-informed informed decisions that drive growth and improve service.